Boating on Lake Cowichan near Duncan, BC. Photograph by Adam Ungstad. Take the kids for a spin around the lake, enjoy water skiing on a fresh summer’s day or find a good spot to fish for cutthroat trout. 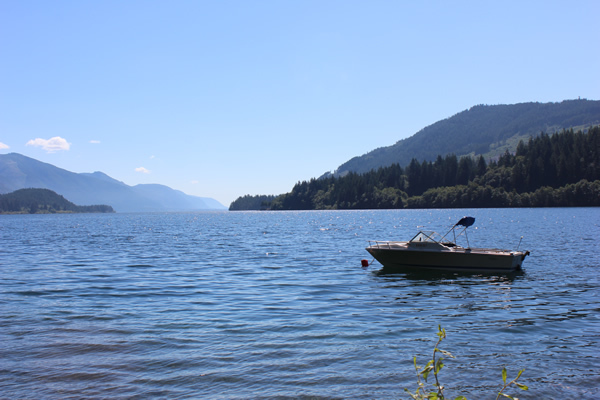 From tubing at Prospect Lake to water skiing at Elk Lake, or going fishing with an electric motor at Durrance Lake, Vancouver Island has plenty of freshwater lakes to explore for boats with electric motors. 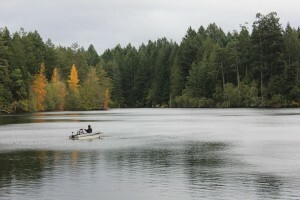 Fishing at Durrance Lake in the Fall. Saanich, Victoria BC. The 152 page book is full of maps, directions, photographs and history. If you enjoy getting out on the water this is a great book to have in your glove compartment! For more information about boating in southern Vancouver Island get your copy of the Secret Lakes of Southern Vancouver Island Guidebook. 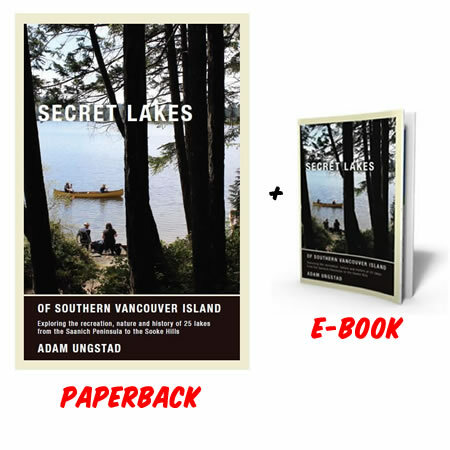 The full book is packed with useful information on outdoor recreation at 25 of the best lakes in southern Vancouver Island. “A great book to have in your car for those spur-of-the-moment picnics over the course of the summer.